Apple’s new MacBook Pro family—13-inch, 15-inch and 17-inch models—may look virtually identical to the current line, but inside there are lots of upgrades. The 13-inch MacBook Pro moves from a Intel Core 2 Duo to an Intel Core i5 at the entry level and a 2.7GHz Core i7at the high end. The 15-inch and 17-inch MacBook Pro models swap out dual-core Core i5 processors for quad-core Core i7 processors up to 2.3 GHz. All models get a new FaceTime HD camera, which can now stream 720p widescreen video, versus the older models’ standard definition camera. 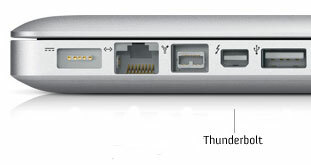 The last upgrade on all models is a new data and video connector called Thunderbolt. One Thunderbolt cable delivers data at speeds of up to 10Gbps—both ways—and connects the laptop to external displays. It works with existing adapters for HDMI, DVI and VGA displays. 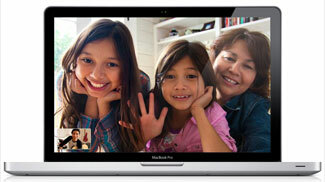 The MacBooks are available now on Apple.com. The 13-inch model starts at $1,199, the 15-inch model at $1,799 and the 17-inch model at $2,499.